July 4th | Live Healthy S.C.
Safety First for Fireworks on the Fourth! July 4th is just around the corner – which for many, means fun in the sun, grilling out, and a great fireworks show to end the evening. Be safe while celebrating with friends and family this year! Just five years ago in South Carolina, fireworks caused 182 injuries, including serious burns, contusions, and other trauma; and 177 people were treated in emergency departments, while five were admitted to a hospital. 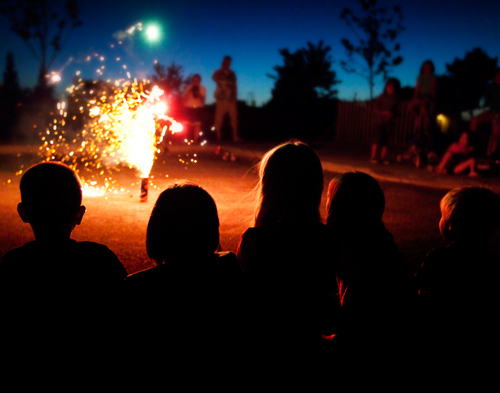 Never allow young children to play with or ignite fireworks and always have an adult supervise fireworks activities. Parents don’t realize that young children suffer injuries from sparklers. Sparklers burn at temperatures of about 2,000 degrees – hot enough to melt some metals. For more information about fireworks safety, please visit DHEC’s website. This entry was posted in Prevention and tagged Fireworks, July 4th, Safety on July 1, 2015 by SC DHEC.